Welcome to Computer Repair & Network Services Oxford. Oxon IT Support offer computer and networking services to home, home based business and businesses in cheap affordable cost. 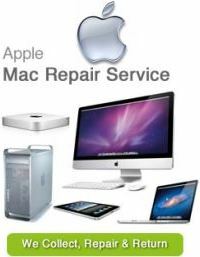 Our service includes help with laptop repair, computer repairs, PC repair, server, firewall and networking setup, repair, maintenance, troubleshooting and general help across a wide variety of IT systems. Repair services can be performed onsite, call-out in home or at your business location in Oxford and Oxfordshire. Is your PC / Laptop not booting up or just getting very slow? No matter what the issue we can provide you with the proper solution, which usually entails more than a simple "tune-up" as many other service providers call it. We help business improve productivity through technology. Call us for reliable Computer/PC, Laptop or Network & Servers repair services including virus removal, data backup and crash recovery. This starts from just £20ph. Computer Service (Health Check and professional clean incl keyboard and mice) to keep your computer running smoothly. Annual Computer maintenance service and support contracts. Whether you are large, small business or home user we will put together a computer & network maintenance package that will suite your individual needs and budget.